When it comes to plumbing systems for hot & cold applications, UltraTuff has set a pristine standard in quality and performance. UltraTuff is manufactured using an advance chemical formula which makes it resistant to low pH water, coastal salt air and corrosive soil providing incomparable performance for hassle free installation on the worksite. UltraTuff has numerous advantages over copper & conventional CPVC plumbing systems such as jointing with solvent-weld cement fusion, unobstructed water flow, exceptional heat retention, silent operation and an incomparable value. Raw materials for UltraTuff plumbing systems are procured from prominent supplier ARKEMA, France. The superiority of UltraTuff is certified by an independent laboratory test result. UltraTuff cpvc surpasses both 73 degree F & 32 degree F impact resistance. The mechanical feature of UltraTuff comes with additional chlorine molecules that reinforce the intermolecular bonds limiting the slippage of polymer chains making it superior when compared to PVC properties. Performance test of UltraTuff cpvc capitulate very affirmative water absorption results which show less than 4mg/cm (square) is absorbed after 100hrs in boiling water. 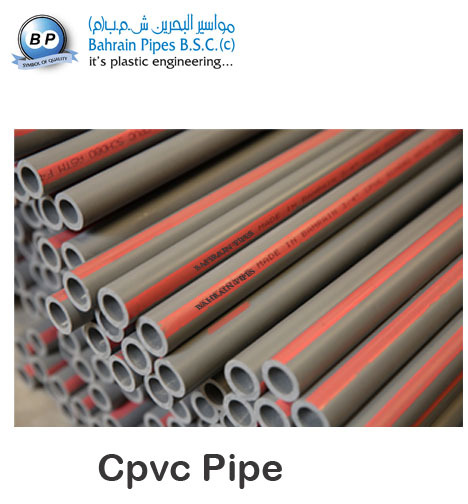 Testing out over longer periods under harsh conditions, UltraTuff cpvc provides a significant pressure resistance up to 95 degree C.
UltraTuff cpvc injected and extruded forms offer equivalently exceptional resistance which is calculated using the appropriate standards. UltraTuff CPVC demonstrates remarkable behavior and outstanding resistance to most acids, alkalies and salts. However, physical properties reduce and a swelling occurs when it is used for organic solvents. CPVC comes with four decades of impressive track record of reliability and hassle free performance. Nevertheless, it is susceptible to damage during the installation process, especially after sustaining an impact of approximately 17 foot-pounds or more. 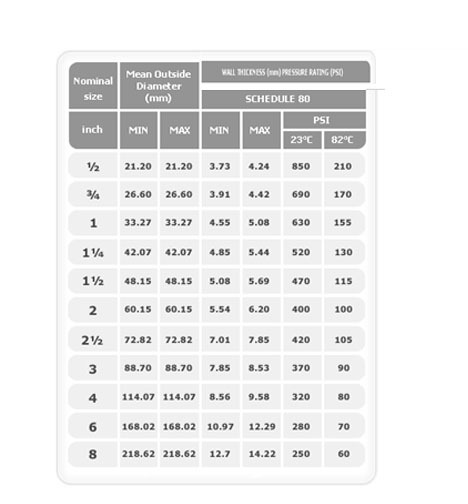 Conventional CPVC has a very high burst pressure and it is more fragile resulting in damage. Without pressure testing after installation, this type of damage remains discovered causing unnecessary interruption and aggravation for clients and contractors. To deal with this situation, UltraTuff is manufactured using state of the art chemical formulation providing incomparable performance for hassle free installation on the worksite. The superiority of UltraTuff is certified by an independent laboratory test results. UltraTuff cpvc surpasses both 73oF & 32oF impact resistance. Greater durability for resistance to knocks and blows during piping installations is one of the major features of UltraTuff. UltraTuff comes with additional chlorine molecules that reinforce the intramolecular bonds limiting the slippage of polymer chains making it superior when compared to PVC properties. Performance test of UltraTuff cpvc capitulate very affirmative water absorption results which show less than 4mg/cm2 is absorbed after 100hrs in boiling water. Transporting hot, pressurised water for sanitary and industrial usage is one of the key features of UltraTuff cpvc applications. Testing out over longer periods under harsh conditions, UltraTuff cpvc provides a significant pressure resistance up to 95oC. UltraTuff cpvc injected and extruded forms offer equivalently exceptional resistance which is calculated using the appropriate standards. UltraTuff cpvc demonstrate remarkable behavior in comparison with other widely used but more flammable plastics. UltraTuff cpvc demonstrate outstanding resistance to most acids, alkalies and salts. However, physical properties reduce and a swelling occurs when it is used for organic solvents. 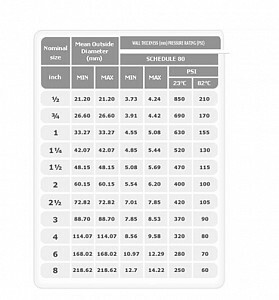 UltraTuff cpvc is manufactured in Crème & Gray colours offering the following major properties.